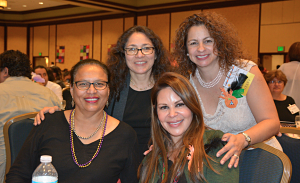 Last week, we had a beautiful Adelante event with 1000 Latina Promotoras (who are our very special health care advocates in America). They are all living their "Mission" through their advocacy work, and working toward their "Money" by starting home based businesses. 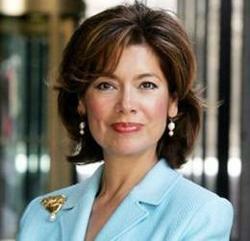 I also spent time last week with the very special Maria Contreras-Sweet, who is the Administrator of the Small Business Administration and Alejandra Castillo, who is the National Director of the Minority Business Development Agency. I also met Jackie Puente, who heads up external affairs for Comcast. It makes me happy to see these very impressive women representing us in Washington D.C. It makes me happy to see these very impressive women representing us in Washington D.C. I want to make all of you happy this year, and I want all of us to pass along that happiness; not with gifts, but with what each of us has to give and what we each know uniquely. Small acts of kindness are what count. I have joined our partner, Coca- Cola, in their campaign #HazAlquienFeliz (Make Someone Happy) by helping one of our Adelante entrepreneurs with her food truck business. To take part in this selfless initiative, post a picture with a written note of what your random act of kindness will be. Or, you can share one showing how you have already made someone happy! Using the hashtag #HazAlguienFeliz, you can upload your pictures to Facebook, Instagram or Twitter to join Coca-Cola in spreading the joy this holiday season. It's just that easy! And next year, we aim to make you happy with all of the gifts we have in store!